GO VIRGINIA CAVALIERS!!! 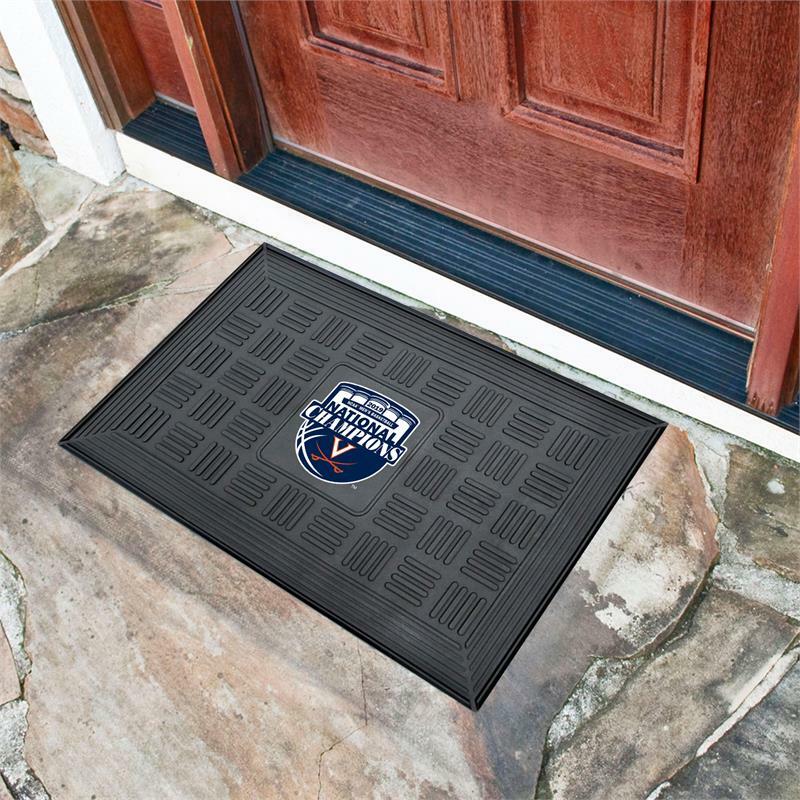 Celebrate the Finals win with a Virginia Cavaliers 2019 NCAA Men's Basketball Champions Medallion Door Mat! Wow your guests with your favorite team's logo and make a statement while keeping dirt and mud from entering your home. Heavy duty vinyl construction ensures a durable mat. Deep reservoir contains water and debris.